It was a simple “no,” we would not be able to attend a family wedding. Our family knows our struggles, they have cheered with us, sat in the hospital with us, and supported us. This wasn’t an easy decision for us, but considering our current circumstances, there really weren’t any other options. I was and am heartbroken. The people who we thought “got” it the most, did not. Those closest to us, who have seen our struggles, do not accept that our life has different rules. 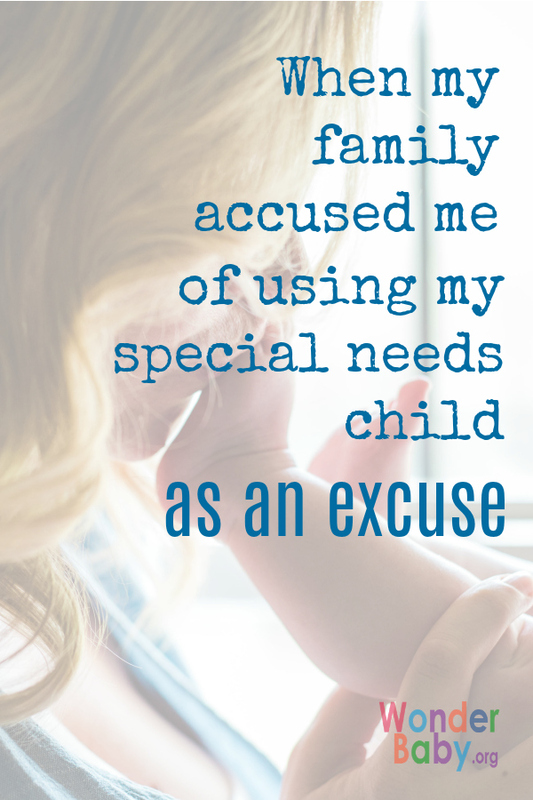 They expect our non-typical family to live and adhere to typical family standards. I feel alone, sad and quite frankly angry. With that I felt empowered and vindicated. I found what I needed to be strong and not second guess our decision. Parents in the fight I stand with you. Your child comes first. Others’ expectations do not matter. Others do not have the same frame of reference as we do. Prepping for a family day at the apple orchard for them means packing extra diapers, not packing a ventilator, tubing or a go bag. Others only see what they want to see. We have found ways to deal with our circumstances. Many extended family members can not or only choose to see parts of our lives, only the good, only the happy, only the milestones. Because they do not understand the worry, frequent hospitalizations, and aftermath of sensory explosions, they simply ignore them. Others do not appreciate that all our decisions are game-day decisions. Family members do not experience time as we do: for us anything can change in 1 hour, 1 day, 1 week, 1 month. In many cases, our decisions happen day of, based on what our child can tolerate, and only then if it is in the best interest of the NUCLEAR family. 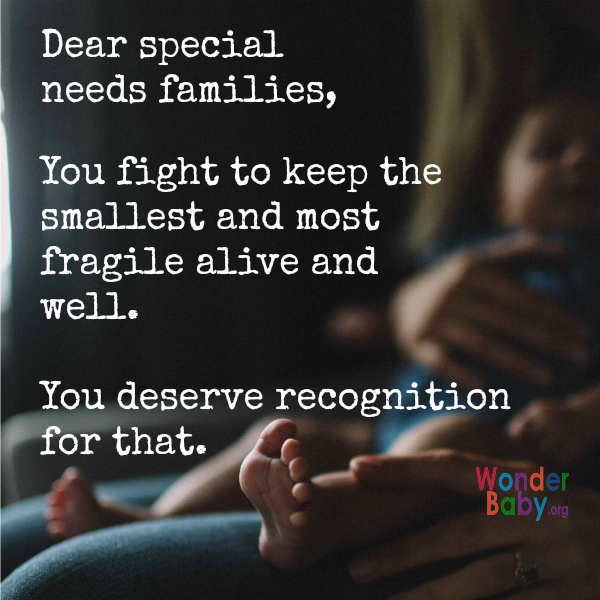 Others do not understand that our kids haven’t gotten to where they have by accident, every decision has been thoughtful, weighed against the possibility or inevitability of health emergencies or sensory meltdowns. Where our kids are, the highs and the lows, are the result of complex decisions we make with their best interest in mind and this is very different from how typical kids are parented (including my own).